Oregon’s Child Welfare System needs help. Our system for reporting abuse and neglect can be confusing, we do not have enough foster families or child welfare workers, and there are currently 84 foster children who’ve been sent out of state for care. These issues hit young children hard: according to the Oregon DHS 2017 Child Welfare Data Book, 45 percent of children in the Child Welfare System are under 6. While additional funding to improve this system is important, it is even more critical that we invest in programs that help keep young children out of foster care. Fortunately, we know what it takes to keep kids in their homes. Relief Nurseries offer tailored, trauma-informed services to support families with children ages birth to 5. As a clinician working in the field of early childhood for 40 years and Program Director for the LifeWorks NW Children’s Relief Nursery, I have seen firsthand the impact Relief Nurseries can have on a family. We provide wrap-around services to families that reduce parental stress and social isolation. We teach parenting skills, strengthen bonds between parents and their children, and provide targeted services that reduce child behavioral problems and improve social-emotional development in very young children. These services include therapeutic classrooms for children, respite care that enables parents to take care of personal or family matters, regular home visiting to help families achieve family goals and build healthier parent-child relationships, and access to family counseling and consultation with an early childhood mental health therapist. Research shows that these types of primary prevention activities build the protective capacity of parents, keeping kids out of foster care. According to the most recent evaluation conducted by Portland State University, the families Relief Nurseries serve have an average of 16 risk factors associated with abuse and neglect. This same evaluation shows that 98.5 percent of children working with Relief Nurseries between 2008 and 2010 avoided foster care placement. Children already in foster care who work with Relief Nurseries exit the system twice as quickly as those who don’t. Relief Nurseries provide additional benefits to parents and children, including increasing the percentage of parents reading to children, decreasing emergency room visits, and improving family economic stability. LifeWorks NW is one of 31 Relief Nurseries and satellite sites operating in 17 counties in Oregon. According to a Children’s Institute interview with Cara Copeland, Executive Director of the Oregon Association of Relief Nurseries (OARN), these sites serve roughly 3,000 children in 2,600 families. But there are many more families across the state who could benefit from these services: based on the number of cases of reported abuse and neglect among children ages 0–5, OARN estimates that there are more than 36,000 young children across the state whose families need these programs. Oregon has an opportunity in 2019 to keep children out of foster care by investing in Relief Nurseries. 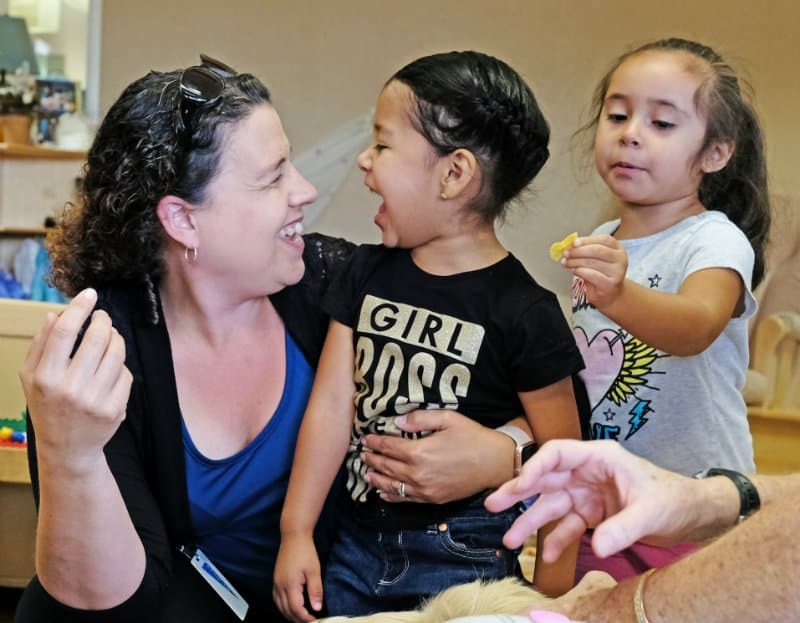 Governor Kate Brown, supported by a coalition of early childhood advocates, has called for a $5.6 million investment from the state to open two new Relief Nurseries and seven satellite sites, as well as expand the capacity of current programs. This is a smart investment for the state not only because Relief Nurseries have been proven to keep kids out of foster care, but also because for every $1 that the state invests in these programs, Relief Nurseries raise an additional $1.80 in private revenue. I hope Oregon’s lawmakers will support this common-sense approach to fixing our state’s over-burdened foster care system. We should improve our Child Welfare System so that we no longer need to send foster children out of state for care. The best way we can do that is to provide families with the support they need so that children can remain in their homes receiving the love and care they need.